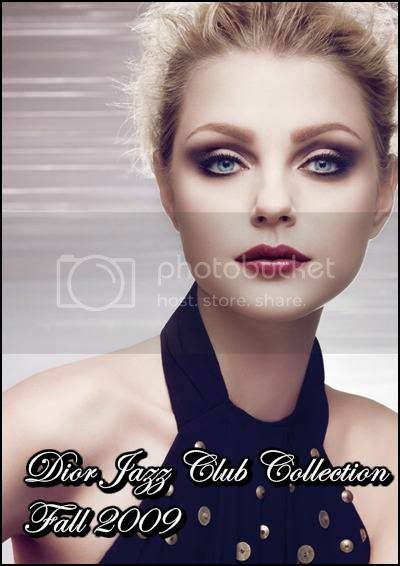 I was quite excited to see that we already have the new Dior Jazz Club Collection available at the Dior counters here. The press pictures looked amazing! I love the strong looks for fall that so many brands are sporting. However, I am a little uncertain now, after seeing the actual products. The 2 items I was looking forward to were the Night Butterfly eyeshadow palette and the Dior Jazz Club palette. 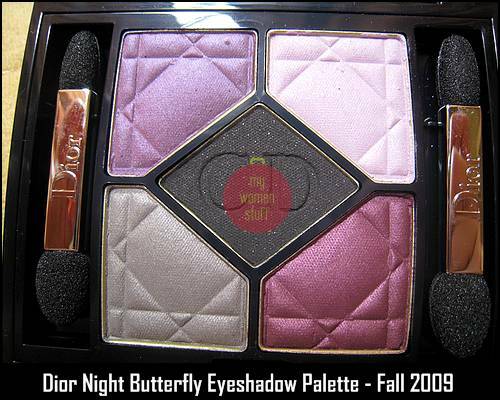 The Dior Night Butterfly eyeshadow palette is one that will either work for you or not. There’s no two ways about it. The colours are a purple hue so if you carry off purples well, this is a good palette to have. I don’t carry off purples so well, especially red toned purples, so I’m a bit on the fence about this one. The colours are a mix of iridescent and matte. The center black shade looks shiny but it is in fact matte with glitter mixed in. You can create some serious smokey looks with this palette – one worth paying attention to for the coming party season. In the temperate countries where they have Fall and Winter, this would be a gorgeous palette to have. However, here where its tropical summer all year round, the colour seems a tad strong. Good for party or night looks, but harder to pull off in the day. This one’s a beaut in terms of looks. The palette comes looking like a pouch – I’d love to own the original Dior Jazz bag this was modelled after! I like that buckle detail. Purple Jazz is a palette with shades of purple in it. There is another Smokey Jazz 001 which has more gray tones. Unlike Night Butterfly, this one is quite usable for the day. Its an all in one palette for the eyes, coming complete with 4 eyecolours (1 matte, 2 iridescent, 1 shiny highlighter), 1 cream liner and 1 brow colour. I felt the brow colour was a little light (2nd from left). The magenta cream liner (1st on left) felt a little dry but the eyeshadow colours were quite lovely. I found the matte purple eye color a bit meh (3rd from left). But the iridescent taupe and lilac were pretty especially when topped with the highlighter called a Topcoat. Its a pink-cream shimmery shade that does not photograph well. The colours are a little sheer though they can be layered for intensity. The double ended brushes and sponge applicators that come packaged are very nice! 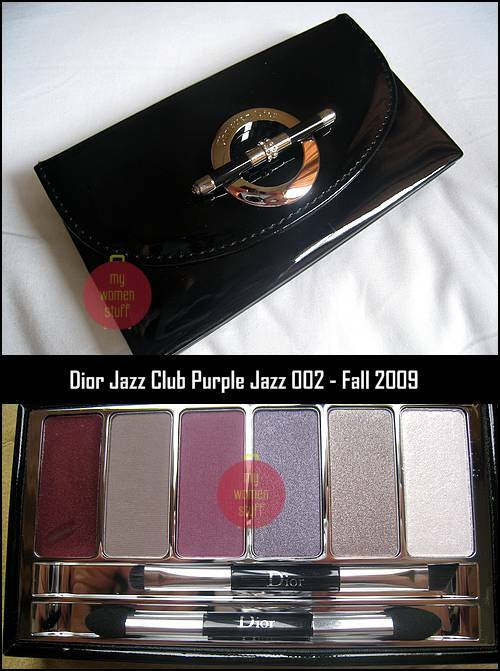 I think the Dior Jazz Club palette in Purple Jazz is worth getting if the colours work for you and you’d like a palette you can tote around for an all in one look for your eyes. Otherwise, you might find it a little impractical. Do you like using palettes? Have you any thoughts on either palette? Are you one for palettes? I never used to be one for palettes, prefering to mix and match my own colours. However, lately I’ve been getting up late and rushing my makeup so eyeshadow palettes have become my good friends! Takes the hassle out of thinking although they can stifle creativity a tad. PREVIOUS POST: Kiehl’s Limited Edition Pear Tree Corner Shower Gel makes me homesick! NEXT POST: Review: Garnier Aqua Defense Moisturizing Cleansing Foam – Cheap and good! There are times I do love using palettes especially when colleagues want me to take along some makeups and apply it on them, I’d rather have it in palette for easier traveling. But for application, I have a tendency to mix and match different palettes too 🙂 I love the new collection! The colors are pretty! Is it wrong to like it JUST because it has the word “jazz” in its name? And the model in the promo shot’s look is divine! Must try something like that out one day. I know! That promo shot caught my eye instantly but I’m not even sure what they used on her! In fact, I’m eyeing on both palette since my reading from Jojoba’s review. I went straight to Dior but never try on the palette as the real stuffs don’t look that appealing to me. Hahaha… My heart is still itching over the Purple Jazz Club collection as I’d already owned a few greyish palette but not purple. With the price of RM210, it really makes me think more than twice. The first palette is nice! I love love palettes. Cos I not good at matching colours for eye. Plus, I find it so irritating to have so many round containers all around. Whereas palettes always come in square/rectangular flat plates. If you are daring, just mix the colour in this palette with one from another. Palettes makes more sense to me because the colours come cheaper than if bought individually. oh finally we think the same (well almost the same) about some products. the beautiful stock pix conned me and i nearly bought them blindly. but once i tried them out at the counters, i knew that i don’t need them even though i am a purple eye shadow lover. Haha… I have to agree with you about these Dior palettes. Considering I’m not so into purples it would be quite a challenge to use them! Let me see how I can work any look out eh? The Dior Jazz is gorgeous! They have a clutch like that?! WHERE ?! On the other hand, the eyeshadow colours don’t look impressive. I believe the Dior Jazz Club bags were from 2008 so I’m not sure if they are still around. I’m not so into Dior bags so I can’t quite fathom how recent/dated the designs are. Uhhh The eyeshadow clutch is gorgeous!! they are available yet at counter?? ooh… the Jazz Club palette is absolutely gorgeous! and I like that they have so many kinds of applicators 😀 Unfortunately I’m allergic to dior eyeshadows *blergh* ahh… the model’s makeup is so pretty….